Fendi recently opened a pop-up store at Galeries Lafayette in Paris which feature the ID-ea Capsule Collection. The humorous collection has taken its.. Introducing the Fendi Resort 2016 Bag Collection. 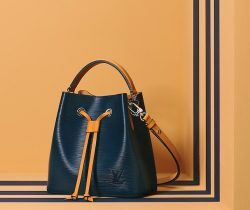 This season, Fendi presents handbags in unusual new prints like the lightbulb and an apple made..
Fendi introduces their newest bag charm this season, the Bag Bugs Backpack Charm. These cute mini version of the Monster backpack is available..
First seen in the Fendi Resort 2016 Lookbook, the Strap You Collection will soon be available by November. The collection features nine different..
Presenting the Fendi Resort 2016 Bag Collection. The collection introduces a new micro bag style, this time for the brand’s Monster backpack. Other..